The first time I went to Red Robin, I ordered a salad because I didn’t feel like having yet another burger without a bun or, worse, bringing in one of those giant tapioca-flour bricks as a substitute. Since then, Red Robin, with locations across the U.S., has become more aware of gluten-free sensitivity than most restaurants, offering the “go bunless” option - a gourmet burger wrapped with lettuce – as well as a gluten-free bun option for an additional 79 cents. It’s impressive enough that Red Robin offers a gluten-free bun option, whereas Five Guys and the big fast-food joints don’t. Most remarkable is that its gluten-free substitute actually works. For the first time in a long time, I enjoyed a hamburger much like a diner without food intolerance might. The novelty of eating a hamburger on a bun is something to savor for those of us who haven’t done so in years. I still remember the rituals I performed trying to get homemade and store-bought buns soft and moist enough to eat a burger without the bread falling apart in my hands; even when I got it right, it tasted different. Trying to dine out using gluten-free buns was a disaster since no one could prepare them right or the buns would fall apart before they made it to the chef. It was always easier to order without the bun and be the kid awkwardly eating my burger with a fork and knife. 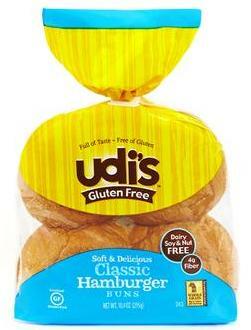 Red Robin’s gluten-free buns, made by Udi’s, look and feel just like conventional buns. You don’t have to be careful with how you hold your burger because the bread is as spongy and absorbent as the wheat version. While it doesn’t taste exactly like a conventional bun, it came close, and it’s certainly the closest thing I’ve ever had in a restaurant or at home. My non-gluten-free friends who ate with me recently at a Red Robin in Lancaster, Pa. also ordered their burgers on gluten-free buns. Although they weren’t as enthusiastic about the buns as I was, they still enjoyed their burgers. In providing bun and fry options, Red Robin sets the baseline as to what other burger restaurants should be doing to satisfy gluten-free customers. Gluten-free buns are pricey, so I don’t mind paying a small upcharge for a quality gluten-free meal. 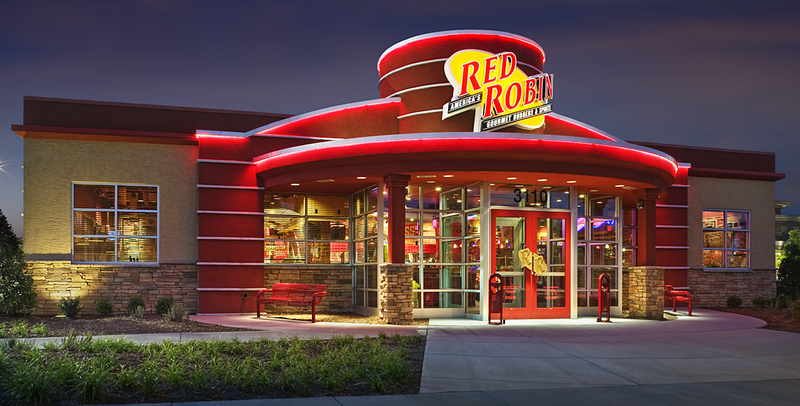 For Red Robin to raise the bar, it would ensure that all sauces and dressings were gluten free, but it’s already done a great job catering to a small but growing customer base. The unlimited fries tasted just fine without the signature seasoning and are as good as you’ll get anywhere else. Delaware native Jason Hewett is an undergraduate at the University of Delaware, where he writes for several student publications. He may be contacted at jhewett@udel.edu. I've used to absolutely love Red Robin for gluten free options. A few months ago, I was there on a Friday night and I ordered my burger and fries like I normally do. Halfway through eating my fries, I found a piece of a chicken finger breading in my fries. I was told for the fries they use dedicated fryers, but for some reason someone decided to fry chicken tenders in the fry fryer that night. I ended up getting really sick from that experience. Obviously with Celiac anytime we go out to eat it's at our own risk and even with a gluten free menu you have to be hyper-vigilant and question everything. For me personally, Red Robin is no longer high on my list on go-to restaurants as I'm not sure how much I can trust them anymore. 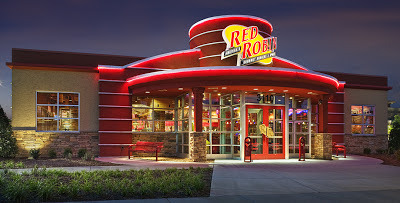 Which Red Robin location did you eat at? Red Robin opens soon in Deptford Mall (NJ).